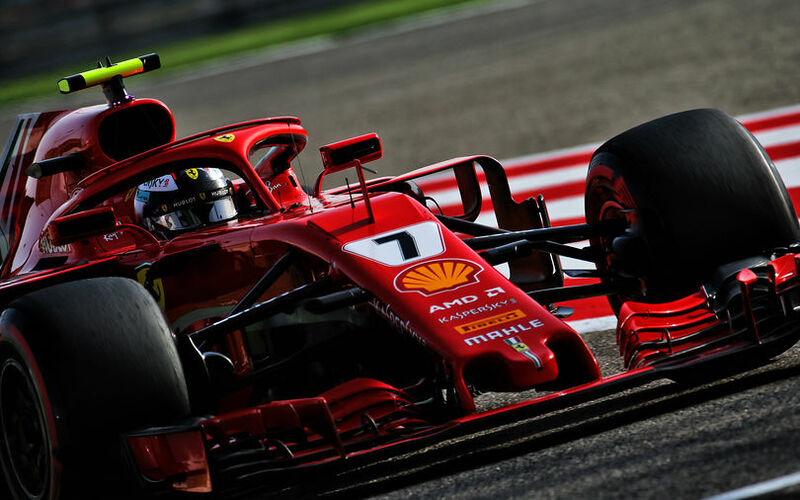 Formula One continues its Asian tour with a visit to the Bahrain International Circuit which host the second round of this year’s championship. Sebastian Vettel leads the Drivers' Championship standings with a surprise victory in the season-opener. Ferrari have dominated the proceedings so far this weekend, securing a one-two starting position for today’s race. Sebastian Vettel will start his 200th Grand Prix from the pole position while Kimi Räikkönen’s second place meant his first ever front row start on the Sakhir circuit. Other than routine maintenance no changes of significance have been made. However, FIA reviewed the effectiveness of the DRS zones. The DRS sectors are the same, but 100m were added to the second zone. The detection point of the first zone is 10m before Turn Nine and the activation point is 50m after Turn 10. The second zone’s detection point is 108m before Turn 14, with activation occurring 170m after Turn 15. This is the 14th Bahrain Grand Prix. The first event took place in 2004 and it has been held every year since except 2011. The 2011 event was cancelled because of civil unrest which was part of the revolutionary wave, the Arab Spring. Despite never having won the Bahrain Grand Prix, Kimi Räikkönen has more podium appearances at this race than any other driver. His eight podiums comprise three third places and five seconds. Sebastian Vettel will complete his 200th Grand Prix start in Bahrain, mirroring Mark Webber and Fernando Alonso who also made their 200th start on the Sakhir circuit. Four drivers are making a Bahrain Grand Prix debut this weekend – though all four have raced previously at the Bahrain International Circuit. Sergey Sirotkin and Pierre Gasly both contested all four GP2 Championship races across two events in 2015, with Gasly taking pole position at the November meeting. Charles Leclerc raced here last year at the Formula 2 season opener, finishing third in the Feature race and winning the Sprint. Brandon Harley was racing in the WEC round during his visits to the circuit. Valtteri Bottas secured his maiden pole position in Bahrain last year. Starting from pole has not always been useful in Bahrain as only five pole position driver managed to convert the best starting place into an actual race victory. Dr Gerd Ennser, Paolo Longoni and Danny Sullivan work as race stewards at the 2018 Bahrain Grand Prix. There are five different individual tracks and a drag strip on the Bahrain International Circuit. Podium celebrations in Bahrain are characterised by the spraying of Waard as a substitute for the traditional champagne, in accordance with local custom. Waard is a blend of rose water, locally produced pomegranate juice and sparkling water that is blended and bottled locally, specifically for the Grand Prix weekend.